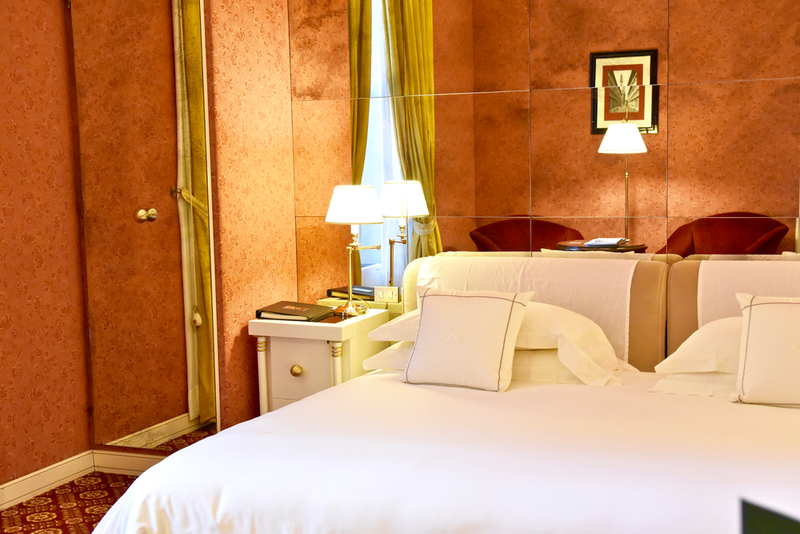 Overlooking one of the most beautiful and prestigious squares in Firenze, Piazza Massimo D’Azeglio, Hotel Regency is an elegant and intimate palazzo in the heart of Florence. The property was built and designed as a luxurious villa and this is reflected in the sense of comfort you experience as a guest. Adopting the décor of the Regency period, the elegant living room spaces and dining areas feature tall windows and floor-to-ceiling glass doors, allowing the Tuscan sun to stream in from morning to evening. The property houses many exquisite works of art, both paintings and sculptures, as well as unique antiques from the owner's travels throughout Italy. 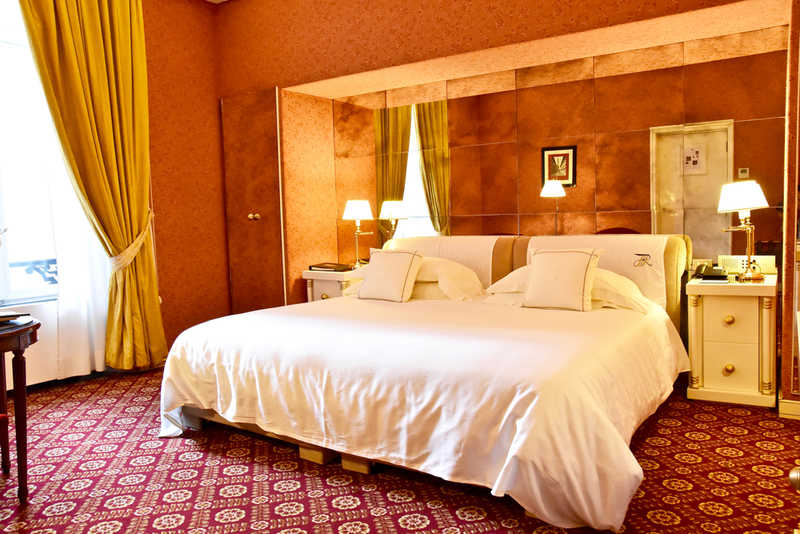 Our spacious room was finely appointed with high quality, opulently coloured deep furnishings, a wonderfully comfortable king size bed and a mahogany desk. The large mordern Carrara marble bathroom was similarly luxurious and made indulging in a bath irresistible. 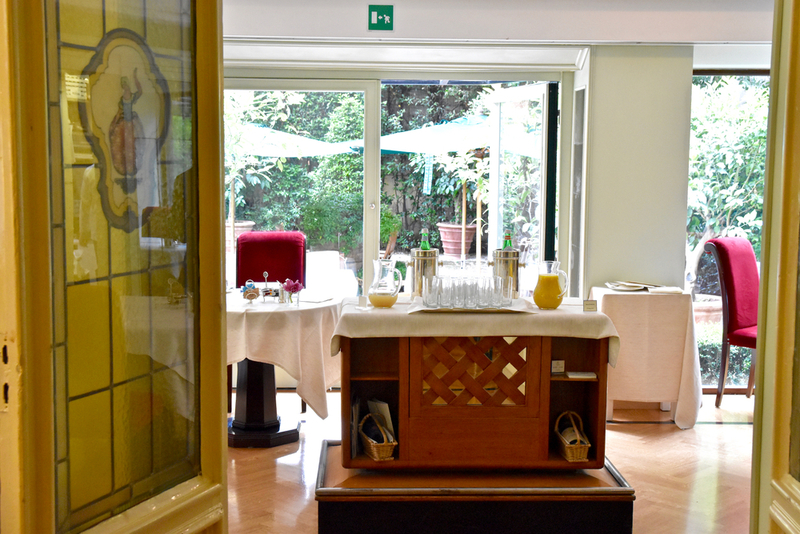 Hotel Regency is one of the only hotels in Florence with its own private courtyard and garden and sitting in the al fresco dining area for breakfast was paradise. 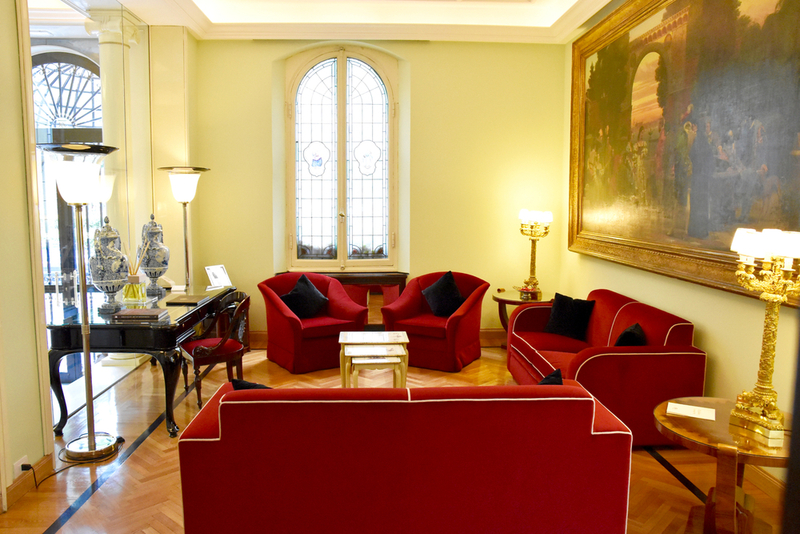 We found the staff at Hotel Regency Firenze to be wonderfully knowledgeable and were provided with exceptional service during our stay. Hotel Regency offered outstanding hospitality and made our stay in Florence a unique and memorable experience. Hotel Regency is also a proud member of Small Luxury Hotels of the World (since 2015), a brand that boasts a collection of over 500 of the most sophisticated and distinctive privately owned luxury hotels in the world. 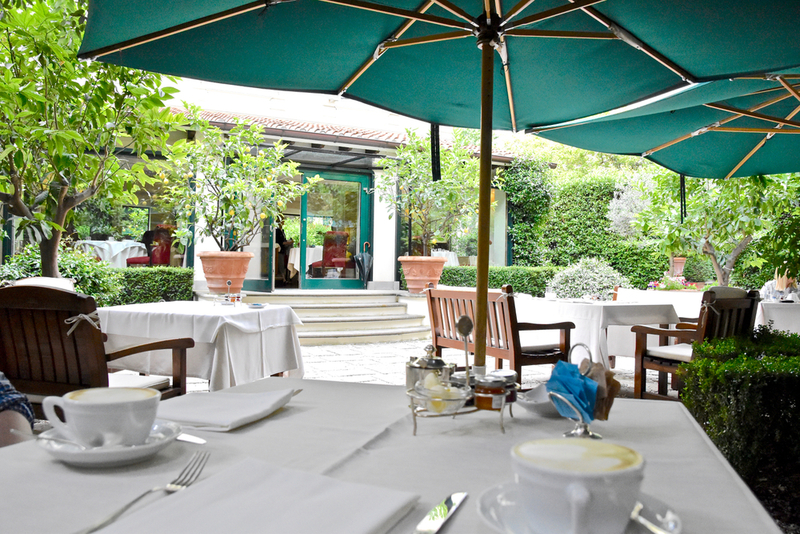 When staying at Hotel Regency, we highly recommend dinner at the hotel's acclaimed restaurant Relais Le Jardin. At the helm, Executive Chef Rino Pennucci impresses with creative, delicate dishes made using only the freshest local and seasonal ingredients. 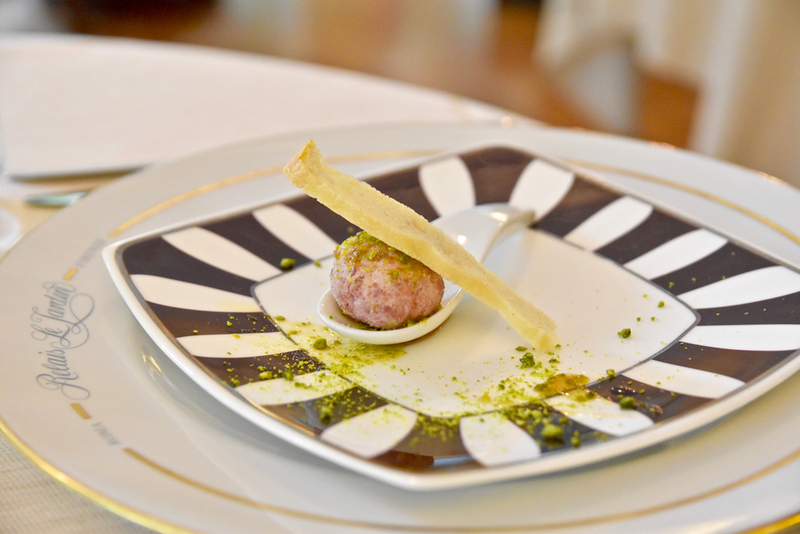 Chef Pennucci’s imaginative interpretations of classic Tuscan dishes are renowned in Florence for locals and visitors alike. The ambience is romantic, intimate, and warm, with impeccable service and an expert sommelier who chooses wines from the region’s most esteemed vineyards. To start we recommend the Squid ink home-made tagliolini in monkfish and broccoli sauce. A lovely dish that was highlighted by the perfectly al dente tagliolini which captivated. The accompanying monkfish was tender and naturally sweet and the deeply flavoured broccoli sauce tied the entire dish together. 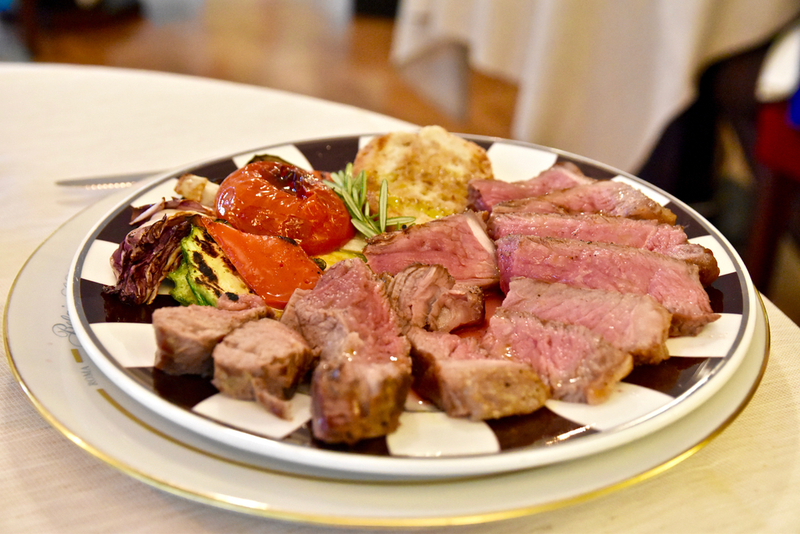 For mains, the Fiorentina steak with seasonal grilled vegetables impressed. The accompaniments to the steak were each delicious – the grilled vegetables were perfectly seasoned and wonderfully flavoured. 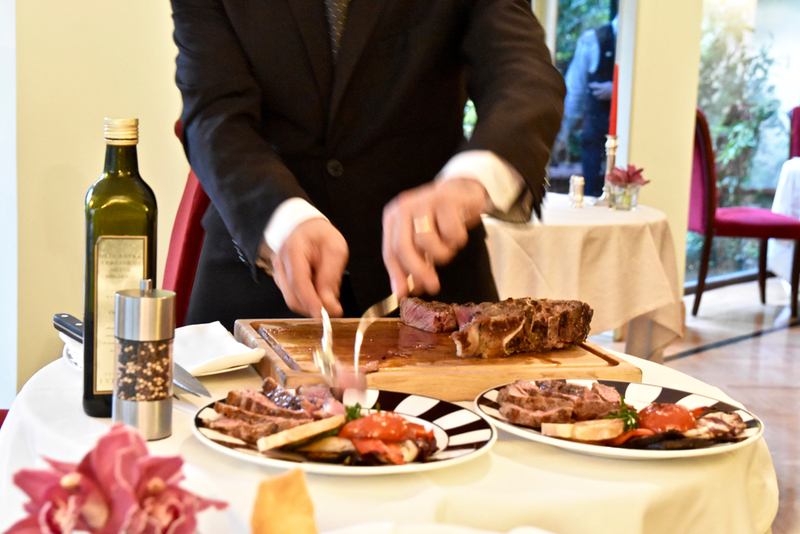 Of course, the true highlight of the dish was the slices of Fiorentina steak – an absolute showstopper, the meat was tender, flavoursome and perfectly cooked. Perfect searing ensured a caramelised exterior which gave way to the deep earthy richness of the beef. Simply beautiful. Relais Le Jardin serves cooking that comes from the heart, infused with fresh ingredients, traditional flavours and innovative preparations; blending contemporary Italian style with classic Italian influence.